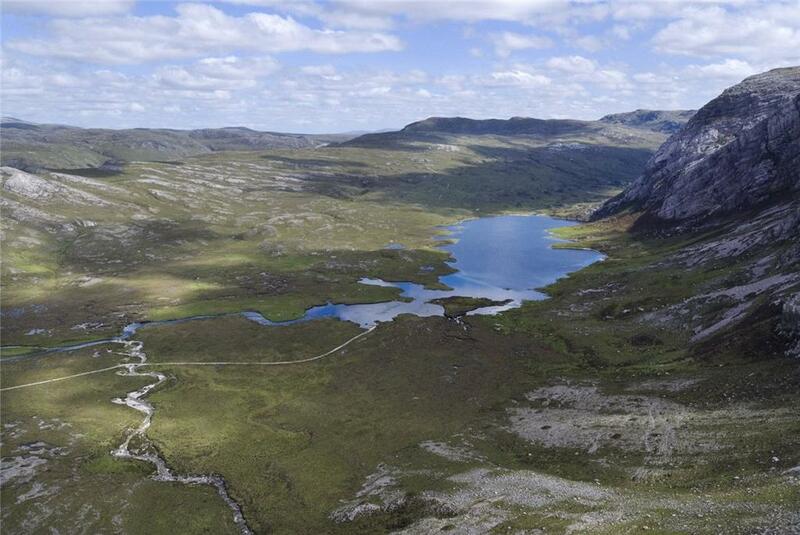 Fishing fanatics can find Highland sporting heaven on the rugged north-west tip of Scotland, where Knight Frank (0131–222 9600) are handling the sale of the 6,206-acre Gualin estate near the village of Durness, Sutherland, otherwise known as ‘the last outpost’ due to its proximity to Cape Wrath, the most north-westerly point of the British mainland. 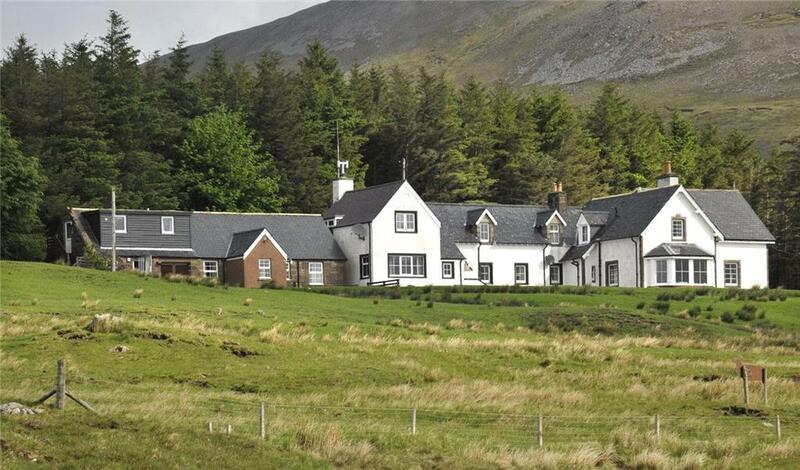 Claimed to be ‘the only proper fishing estate for sale in Scotland’ by selling agent Tom Stewart-Moore, who seeks ‘offers over £2.6m’ for the estate as a whole, Gualin’s appeal centres on its 7½ miles of double-bank salmon and sea-trout fishing on the River Dionard (pronounced Djer-nard), along with fishing rights on Loch Dionard, renowned among ‘fishing nuts’ as the best sea-trout loch in Scotland. a passion bordering on mania for salmon fishing’. In 1976, she sold the middle section of the River Dionard to a syndicate and, two years later, gave the remainder of the estate and river to her son, Edmund, who died in a car crash two months later. After that, Mrs Ferguson appears to have lost interest in the estate and it was eventually sold by her grandchildren to four families, three of whom still own it and are now selling due to impending retirement. Creature comforts are provided at Gualin in the recently renovated traditional five-bedroom lodge, originally built as an inn by the Duke of Sutherland in 1833. 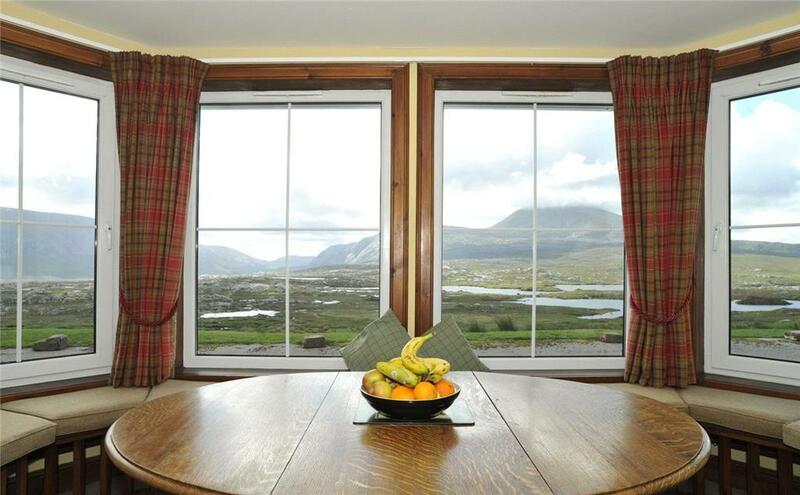 It stands on high ground with wonderful southerly views over Strath Dionard, against the imposing backdrop of the Foinavon Hills. It presently provides 2,740sq ft of living space on two floors, but could be extended to the side and rear, subject to the usual planning consents. 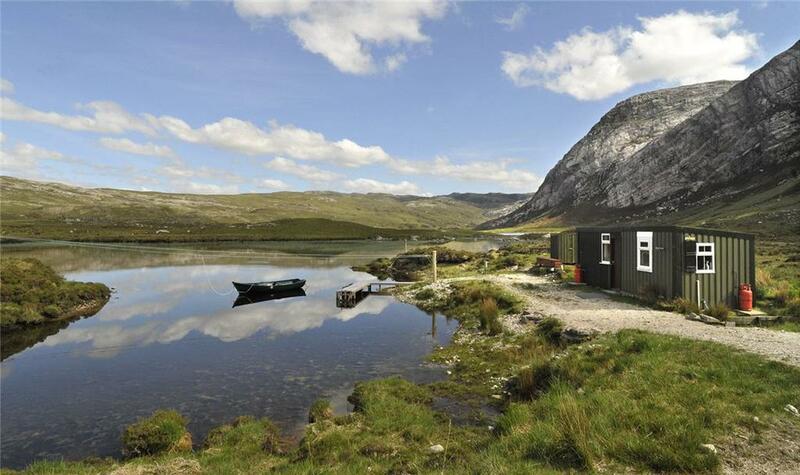 Adjoining the lodge is the three-bedroom Keeper’s house, next to which is a self-contained one-bedroom guest flat, with a one-bedroom gillie’s flat located above the fish room.